Born July 8, 1903 in Charleston, Tennessee, “Red” Maddox grew up on a farm in Bradley County and attended Wesleyan College, where he was a star athlete. 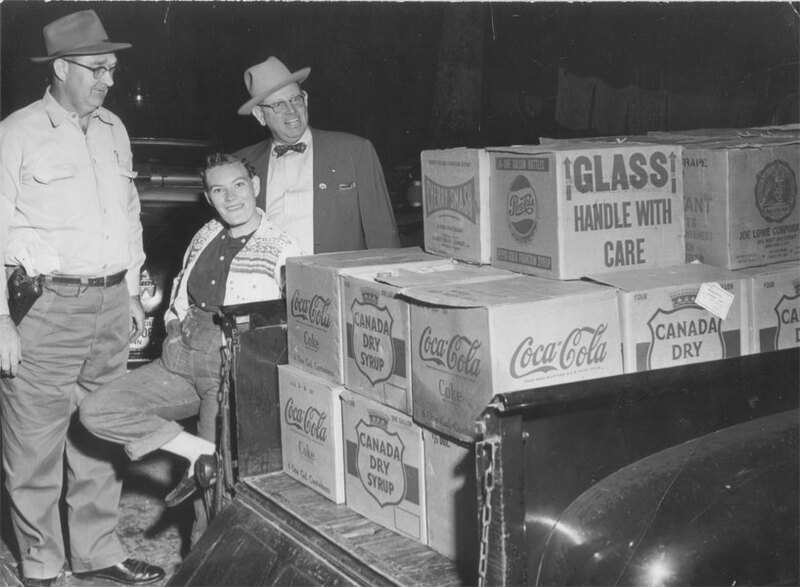 After graduation, he was hired by Standard Oil, and in 1936 purchased his own service station in downtown Chattanooga, which he proudly operated for twenty years. 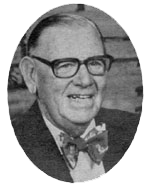 Known for his red-headed temper and a partiality to bow ties, Maddox became the Republican nominee for Hamilton County sheriff in 1956. Upon winning the election, Maddox began what has been termed as an eventful term of office. In May 1957, popular Central High School football coach, Marion Perkins was murdered while having breakfast at a boarding house. His landlady was present when her estranged husband entered the premises and shot Perkins twice. The gunman then pistol beat his wife and fled with Sheriff Maddox and his posse already in pursuit. They tracked the man to an open field where his sons begged him to surrender. Without warning, the assailant suddenly placed the pistol to his left ear and pulled the trigger, taking his own life. In December 1957, Alcatraz parolee, Joe Chesser, used handmade keys to aid in his and three other inmate’s escape from the county jail. They had cut a 12 x 18 inch hole through the steel wall of a shower in their attempt freedom but were all later recaptured. Luckily, when deputies searched the cell-block that day, they discovered tools for another escape. Metal used to make keys, hacksaw blades, as well as a small flashlight were confiscated by the jailers. All packages delivered for inmates were temporarily retained, and all inmates were confined to their cells until the jail’s security was restored. Maddox ran for sheriff again in 1958 but was defeated by Democratic nominee, James “Bookie” Turner. The well-respected ex-sheriff will celebrate his eighty-ninth birthday in July 1992. He and his wife, Coby Lee, still recall his term with great pride.